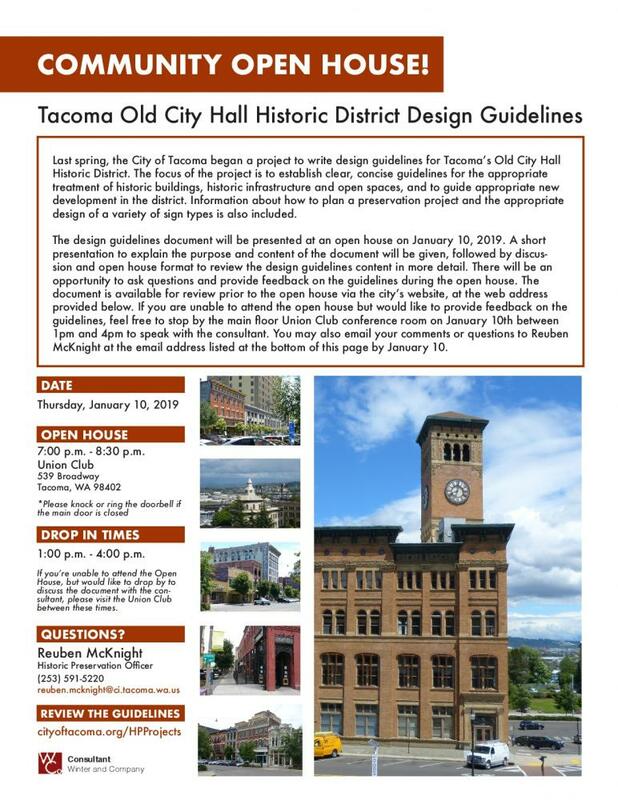 With the assistance of a consulting firm, the City of Tacoma has been drafting new design guidelines for the Old City Hall Historic District. The new guidelines for the Old City Hall Historic District will provide assistance to building owners and developers about how they can preserve the architectural integrity of this area. On January 10, 2019, the City of Tacoma Historic Preservation Office will be hosting a Community Open House for residents and property owners to review and discuss the work that has been completed to date. A draft of the Guidelines is available on the City's project webpage.